An antique line engraving by W. Smith after J.P. Neale. Published December 1st, 1813 with later hand colouring. 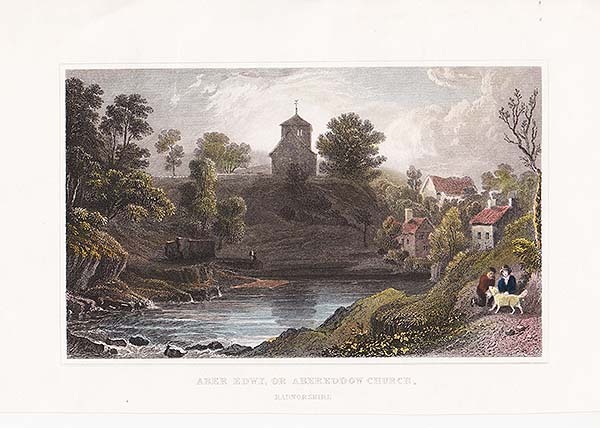 Aber Edwy, or Abereddow Church, Radnorshire. An antique line engraving by J. Hinchcliffe after Henry Gastineau. Circa 1835 with later hand colouring. 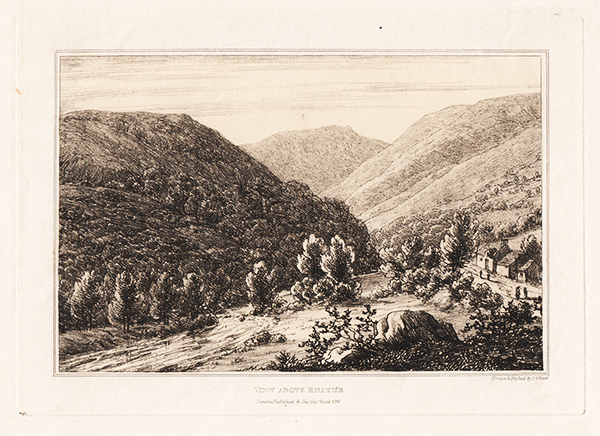 An antique line engraving by W. Taylor after Henry Gastineau. Circa 1835 with later hand colouring. 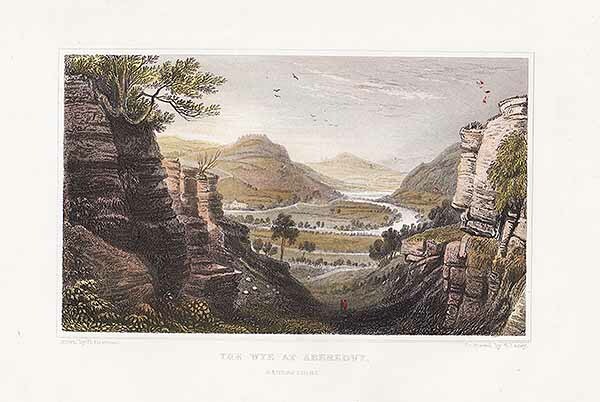 The Wye at Aberedwy. Radnorshire. 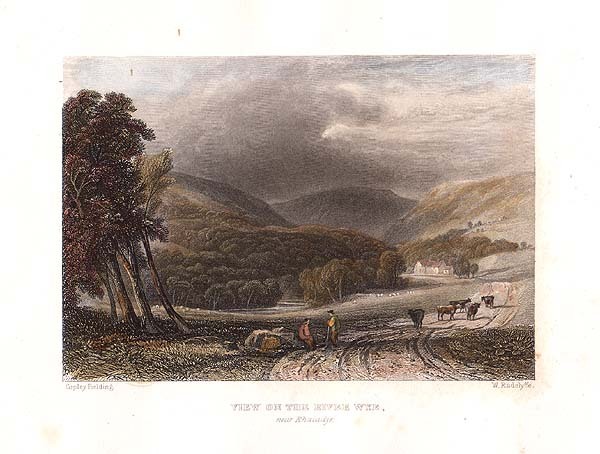 An antique line engraving by Owen after J.P. Neale. 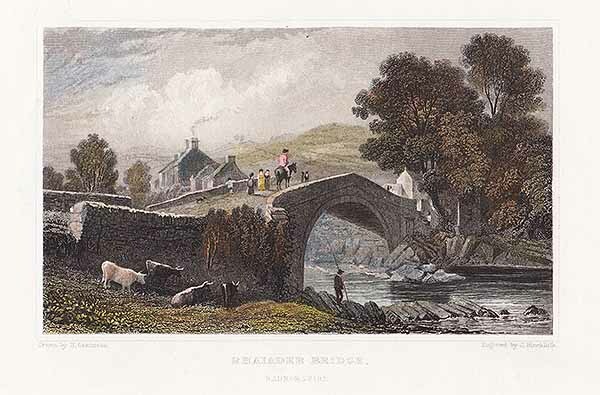 Circa 1815 with later hand colouring. Dark stain in bottom right margin. 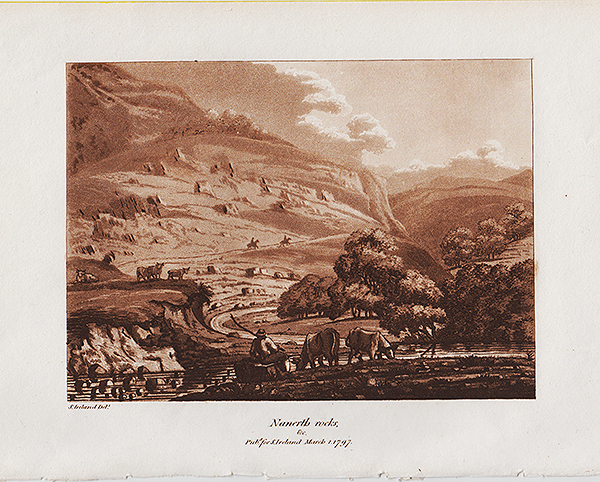 An early aquatint engraving by J Bluck after Thomas Jones. Circa 1770 with later hand colouring. An antique line engraving by S. Lacey after Henry Gastinedau. 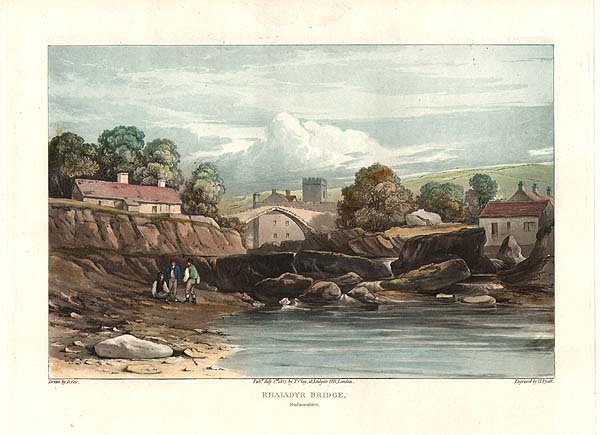 Circa 1835 with later hand colouring. An antique aquatint engraving by J. Bluck after T. Jones. Circa 1800 with later hand colouring. 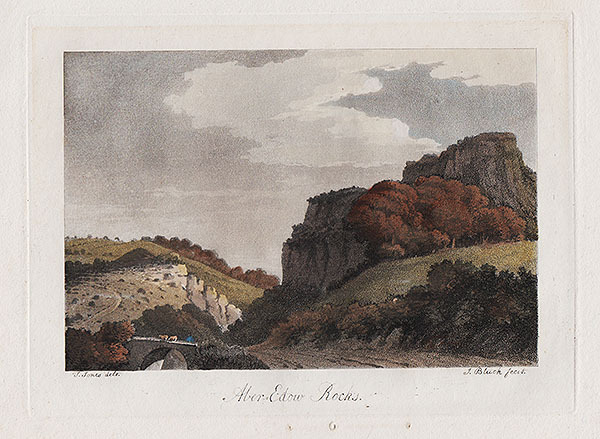 An antique aquatint engraving by J. Bluck after Thomas Jones. Circa 1770. Later colou16cms by 11cms.red by hand. An antique lithograph drawn and lithographed by I. M. Ince. Printed by C. Hullmandel. Circa 1850. Later coloured by hand. An antique lineengraving by Rock & Co. Published in 1851. Later coloured by hand. An antique line engraving by W. Byrne after Sir Richard Colt Hoare. Published in 1806. Later coloured by hand. 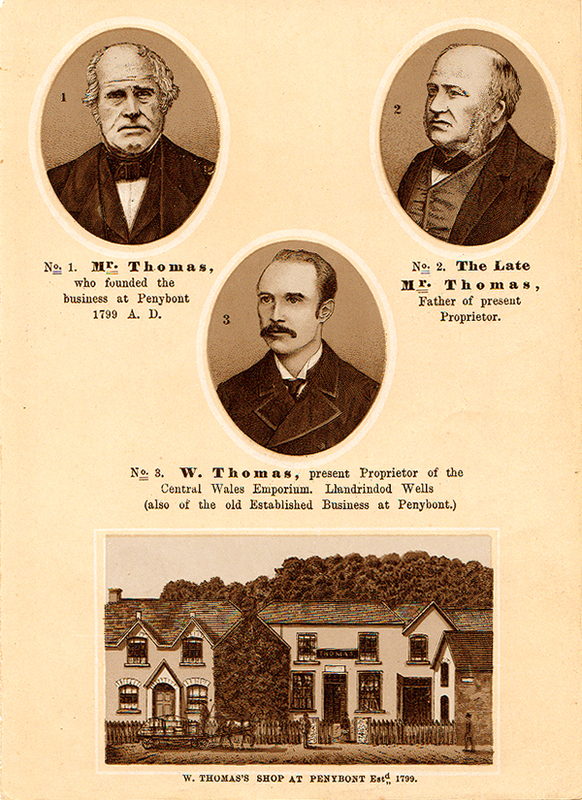 W. Thomas Shop at Penybont. Estd. 1799. An antique aquatint engraving by J. Bluck after T. Jones. Circa 1770. Later coloured by hand. 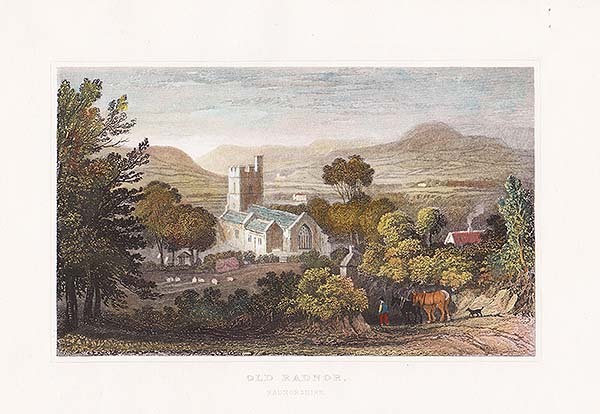 An antique lithograph by M. Baynes. Printed by C. Hullmandel. Circa 1850. Later coloured by hand. Central Wales Emporium & Welsh Woollen Warehouse, Llandrindod Wells. The Old Parish Church, Llandrindod Wells. Rock Hotel & Springs, Llandrindod Wells. Park House, & Norton Terrace, Llandrindod Wells. Coleman's Hotel & Temple Bazaar, Llandrindod Wells. 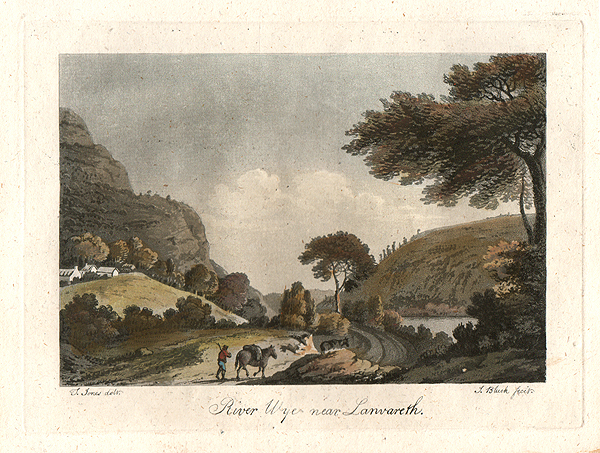 An antique line engraving by Newman & Co. Published in 1880. Later coloured by hand. Rock House Hotel, Llandrindod Wells. View on the River Wye, near Rhaiadyr. An antique line engraving by W. Radclyffe after Copley Fielding. Circa 1835. Later coloured by hand. 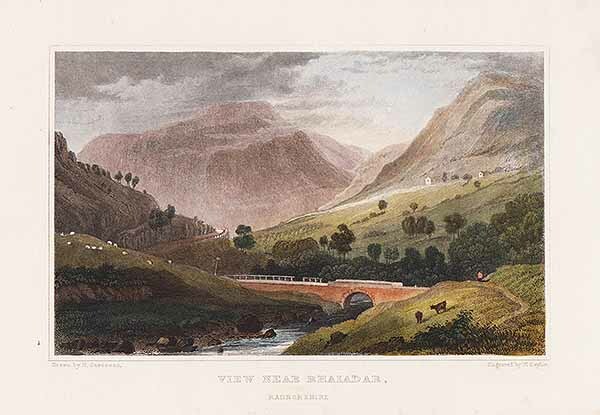 An antique tinted aquatint engraving by H. Pyall after D. Cox. Published July 2nd, 1827 by T. Clay, 18, Ludgate Hill, London. Later coloured by hand. Rhayader Radnorshire from Builth Road. An antique line engraving by Rock & Co. Published in 1856. Later coloured by hand. 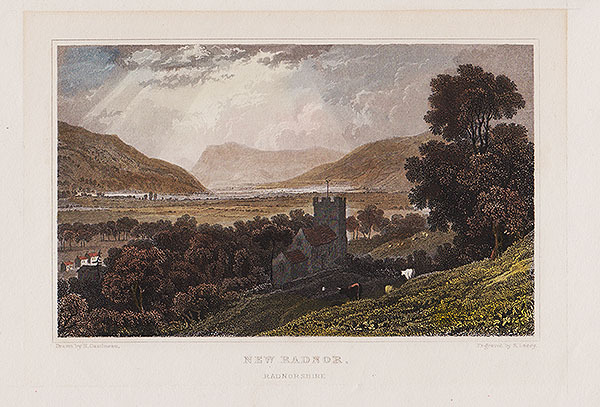 Rhayader Radnorshire from Old Aberystwyth Road. 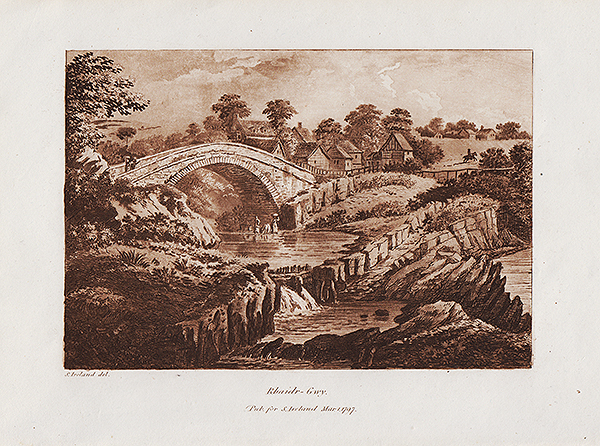 An antique line engraving by W. Radclyffe after D. Cox. Circa 1840. Later coloured by hand. The Lovers Leap, Llandrindod Wells. North End of the Lake, Llandrindod Wells. Llandrindod Wells from the Park.